For this last post of the month, we shall continue our ongoing theme of queens being mistreated, and people getting stabbed. Záh Felicián is mostly known in history for his attempt to assassinate King Károly Róbert (1301-1342), Queen Erzsébet, mother of Lajos I and Endre (remember him with the magic ring? ), and their two sons. Záh started out as an opponent to the king, fighting alongside one of the most powerful noblemen of the kingdom... And then he turned around and joined the king with a full pardon. His daughter, Klára, became a lady-in-waiting to Queen Erzsébet. And yet, something was not quite right. After twelve years at court, Záh Felicián did the unimaginable: He attempted to murder the royal family, in broad daylight, in the middle of a feast. He ran at then with a sword, wounded the king lightly on the hand, chopped off four fingers of the queen's right hand, and then turned to attack the two young princes. The mentors of the princes jumped between them and both died while the boys got away; and then one of the servants lunged at Záh and chopped him with a blade at the neck. The guards and servants effectively slaughtered the man on the spot. The entire scene unfolded in great confusion and lots of blood, from what we know from the chronicles, and probably was over before people realized what was happening. Záh got away relatively easy - he died immediately, and his limbs were sent to various cities as a warning (much like Koppány's). His household was not that lucky. His son and his servant were dragged to death by horses, and their remains thrown to the pigs. His daughter Sebe was beheaded, her husband died in prison. Their children were given to crusaders and sent to Rhodes in exile. The king ordered all family members three times removed to be murdered, and took the property of the rest. Záh's other daughter, Záh Klára, was mutilated, her nose, lips and eight fingers cut off, and then paraded around the city, yelling "this is how you are punished if you turn against the king." We are not sure what caused the assassination attempt. Some say it was probably a plot among the nobles to take the throne. A chronicle suggests that Erzsébet's brother seduced Klára, and her father was taking revenge for it (sounds familiar?). Whatever the case, it is one of the most famous attempts at a king's life in Medieval Hungary - and as you have already seen, that is quite a long list to be on. 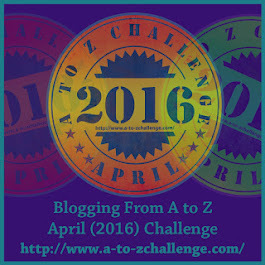 Thus concludes this year's A to Z Challenge! Thank you for following, thank you for commenting! I hope you enjoyed the ride. Don't forget to come back on May 4th (Monday) for A to Z Reflections! 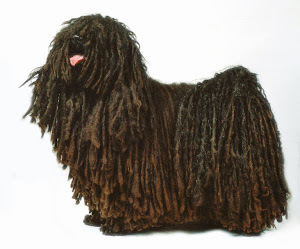 If you are interested in more Hungarian weirdness, don't forget to follow the MopDog, and come back for MopDog Mondays! Also, check out my book, titled Tales of Superhuman Powers - a collection of traditional stories that feature superpowers, from invisibility to eye beams (no, really). Available on Kindle, Nook, and print! Interesting that the women were treated so severely as well, over here you see lots about what happened to the men, but not a lot about the women unless they were queens. Of course that's probably just the bias in history books. Have give you a shout out from my own letter Z today. Thank you for all these grisly posts! When we read about such behaviour from medieval times, we tend to think that humanity has improved since then. Sometimes I'm not so sure. A little thinking about the consequences would be appropos, lol. The royal family certainly did not want it to play out again. You've had a very interesting theme this month. I enjoyed it. We made it - Hurray! Thank you for sharing your interesting posts of your unusual and thrilling theme. I think this is the worst one of all, all the family 3 times removed! you may have enough methods of death right here to do another whole challenge! Congratulations on finishing! You were 1 of my favorite blogs this challenge. Congrats on making it to the end! Loved reading your posts about the bloody (and sometimes) silly deaths of medieval Hungary. Good to hear that the guards were there to mop up after the dangerous work was done. BTW, I'm dropping in from a shout out to your blog from Rosie Amber's blog https://rosieamber.wordpress.com/. You've made it, congratulations! I enjoyed every single post and I'm sure I will visit once in a while after the challenge. that was one of the goriest out of them all! wow, what a story. the poor queen. they are all lucky not to die from infections or whatever. Loved hanging out on both your blogs. all your posts were fascinating. thoroghly enjoyed your blogs. will keep coming back here. much love and thanks for the wonderful blogs. Rough! Worse to be related to him... And to do it in broad daylight?? Out of his mind! I must say I have learnt some many ways by which someone could die and not just in medieval Hungary. Lol. Enjoyed reading your posts. Congrats on making it to the end. Definitely not a good family to be born in. What a bloody legacy! Congrats on finishing the a-z! Enjoyed your dramatic education of medieval Hungary. That has to be one of the least successful assassination attempts ever! Really went to town on the punishment. I've enjoyed reading the grisly tales in your posts. Congrats! Congrats on getting to the end of the challenge! I have seen it spelled both ways, the chronicle spelled it with an h. In history books it's usually ch. You've made me laugh every time I visited during the challenge. Thanks for the entertainment. Lesson here: Don't be related to crazy. That's a pretty harsh punishment. Great A to Z! I really enjoyed all of your stories. The Hungarian history is crazy!! Congratulations on making it from A to Z!! !